MisterBOB Comments: Happy New Year … said the Rat? Is the book melting? Because everything looks bigger the further down the page you go…. And so is revealed the truth behind the Sasquatch footprints. A hairy-chested rat wearing a Miss World sash. I sense a new trend for foot shaped shoes. Creepy? Yes. High fashion? But of course! Wherever there is danger he’ll be there. You know what they say about a rat with large feet, don’t ya? errrr…. nevermind, I guess it doesn’t always hold true. Poor fella. Couldn’t you have at least thrown him a token space sheep? What about that ridiculous body? It’s as if part of the arms and the nether bits were on backwards. Oh man, I’ve got a different book by this author, If I hadn’t lost it somewhere in storage, I’d have subbed it by now. It’s just as weird a cover, and on top of that, the cover imagery is relevant to the story. 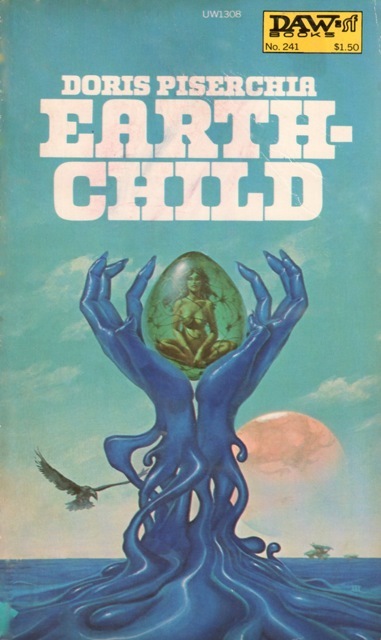 So does Piserchia’s work just get bad covers, or is this coincidence? Oh god, the Algernon experiment went horribly wrong after all! More awkward than Ugg boots! Probably smellier than the old pair of wellies in my garage! I’ve read this book (not in this edition though – I’m sure I would have remembered) and intelligent rat-men do actually play a part. Strangely this cover isn’t featured in the book cover gallery of her work at http://www.digitalmediatree.com/tommoody/piserchiacovers1/thumbnails/ even though some of them look just as ‘interesting’. @andyl: The site you linked to is blacked out as part of today’s internet-wide “Stop SOPA” protest. For future reference, that’s the “Stop Online Piracy Act,” a piece of proposed United States legislation which would allow the music and movie and media industries to shut down on simple request any website which carries, or links to a site which carries, or links to a site which links to a site which carries, etc…. any copyrighted information they don’t own the copyright to. The website must then prove to a judge that they are innocent before their site is reinstated. Many prominent websites have chosen Wednesday, 18th January 2012 as a day of blackout in protest, including Wikipedia, Mozilla, and apparently digitalmediatree.com, above. When I posted it wasn’t. A number of places blacked out a little late (maybe timezones, or webmasters catching on a bit late) so maybe it was one of them. I’m well aware of SOPA – the blackout was national news in the UK, plus I’m a techie and so have been reading about it for quite a while. @andyl: I had meant my comment as a bit of a historical archive, so that future readers of this post wouldn’t be baffled by what will hopefully become a stupid little footnote. But looking at my post, it does sound like I’m lecturing you, which is not what I meant to do. I apologise. On the whole I find that Europeans are way more informed about US politics than vice versa. In the book the intelligent rats have mechanical hands — not clay feet. The book is worth reading, Piserchia is an unconventional author — strangely paced but characterized by strange/peculiar worlds. Oh how did this drop out of the top ten. It’s so good. Maybe… we need a top 20!!! or 30!!! GSS Admin or the Tag Wizard were being really forward thinking when they devised the “giant feet” tag. Alas, it has never yet been re-deployed. 2.74 Million A.D., When Rats Rule The Earth. …That was going to be a joke. Then I checked and, hey, that really is what it’s about. Laughed when I saw this. 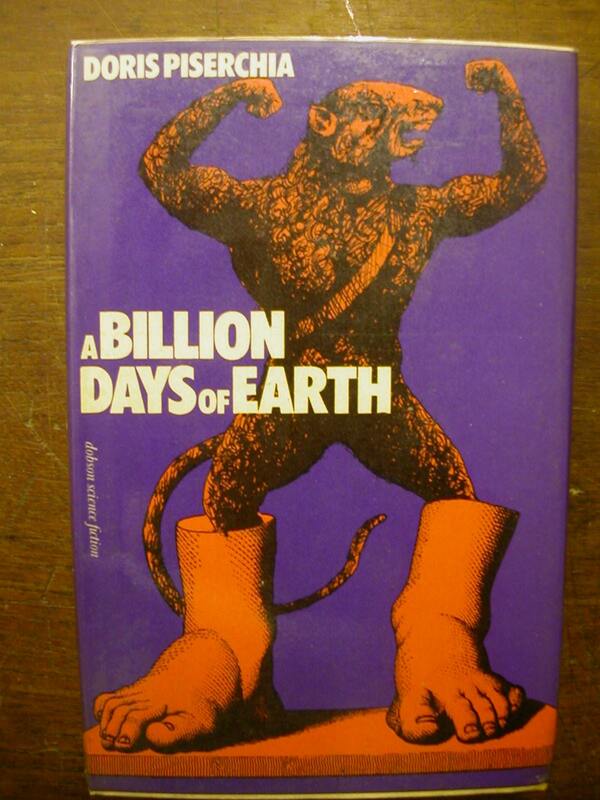 On a related note, does anyone know where they sell giant foot-shaped boots? Those would be great for increasing my footprint. Good Show Sir: showing us what Terry Gilliam couldn’t bring himself to. @RachelJ: Assuming that’s CE. If we start from the Theia impact, we’re not even out of the Hadean yet. Ho-hum.